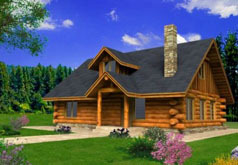 Made to be a subtle reminder of historic log cabins, these cabin house plans are not necessarily made of logs, but can be simple clapboard as well. The exterior is usually left in a natural stain. Cabin homes are typically small homes, seldom over 1,800 square feet, and are designed with simplicity. For those cabin homes that are two-story, dormer windows are a prominent feature. Cabin style homes sport roofs that are often aluminum, but the roofs can also be shingle or wood shake. With multiple angle roofs, cabin home plans are similar to those in the farmhouse style, but farmhouse style homes are typically much larger. For the classic appeal of Americana, you cannot go wrong with a cabin house plan. Often built in log home style or with clapboard siding. Often used as vacation homes. Roofs can be shingles, metal or wood shake. Most offer porches, fireplaces, and other comforting amenities. 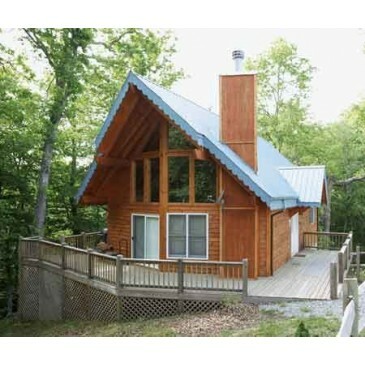 Click here to search our cabin house plans! Not the style you're looking for? Click here to use our Advanced Search!